I started to cook with my grandmother as a kid spending my summers on the Chesapeake Bay. I would walk down to the docks some days for fresh morsels from the sea. Later, I would go picking fresh veggies from the garden in the back lot. Nana taught me about cooking and how to grow my own fresh veggies and herbs. Funny thing…. most of my family lived across the bay in a little town called Smithfield, Virginia famed for its tasty Hams. Maybe that’s where my love for the little, tasty, short-nosed fatty came from. Growing up in Texas, learning to cook BBQ is a must. So I did. I really came into to my own in college cooking for my Fraternity and Social Events. I honed my skills when I started cooking with a BBQ Team. 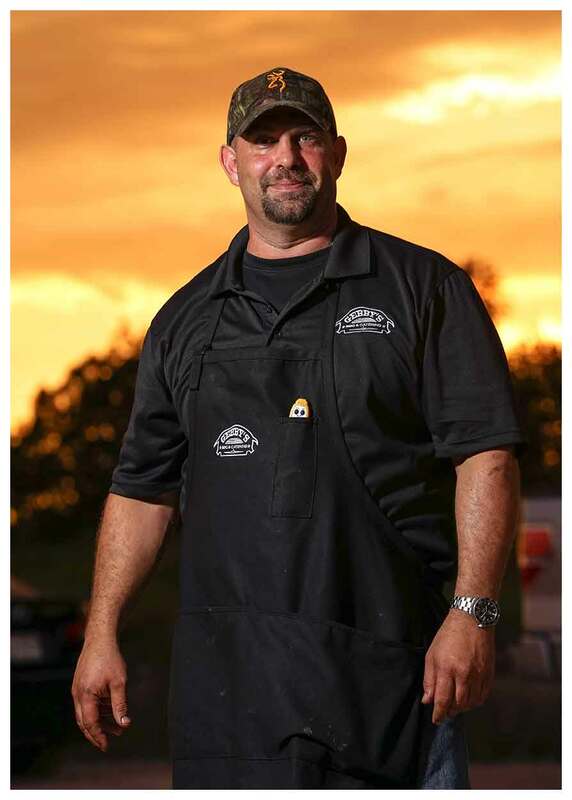 I spent a few years with BBQ Nation. Jeff and Jason definitely put up with my new ideas for chicken and ribs…but they wouldn’t stray from their brisket skills. I knew not to ask. The three years I spent with them was hands down some of my best time pushing smoke. Not too long after I was hooked and filled with passion for BBQ. I started catering events and repeatedly my customers and friends would ask, “Hey Gebby, when are you going to open up your own place?” This set the wheels in motion! 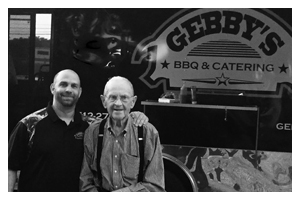 For years folks have called me “Gebby” so naturally, Gebby’s BBQ seemed fitting. 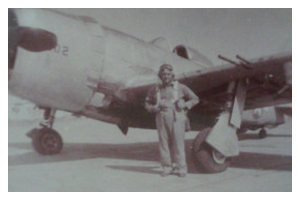 When I called my Aunt Carolyn to tell her I was starting Gebby’s BBQ, she said, “That’s what they used to call your grandfather!” My grandfather, LT Colonel George Gebhardt, was a fighter pilot in WWII, and apparently the original Gebby! So the name is solid. It is about that time for me to follow my passion and dreams….. from my pit to your mouth!